Sheri has received national recognition for expertise in teaching including being named as: Golf Digest’s Top 50 Women Teachers in America, LPGA’s own Top 50 Golf Instructors by her piers, Instructor for TPI's Certification Programs, and Instructor for the Ladies Professional Golf Associations National Education Program the certification program for it’s members. Sheri is a consummate student of human behavior, learning and performance, anatomy of motion and biomechanics, as well as the game itself. Sheri’s certifications include: PGA Class A Member, LPGA Class A Member, TPI Level 3 Certified Fitness Instructor and Level 2 Certified in Biomechanics. 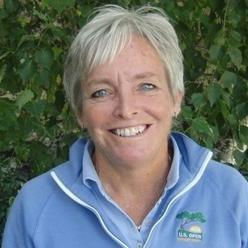 Today, Sheri is still committed to her quest in learning and developing as a golf professional. Just like you, Sheri is a student of the game and continues her education with seminars, observing players, reading, research, and taking golf lessons herself. Sheri took up the game of golf as an adult. In her early 20’s she played her first full round of golf, scoring a 144 (yes, counting every stroke). In the next three years she took golf lessons, worked on her game and reduced her handicap to a 6. She then proceeded to venture out to play golf professionally. Sheri knows the struggle and feelings of learning the game of golf as an adult, along with all the gains and rewards that this wonderful game has to offer.